persistence skills – Teach. Empower. Transform. Theater is a way of life. For those of us who have taken a theater class or have had any exposure to theater, we know that performing in front of an audience — no matter how small — ultimately affirms our character. Do we tend to move toward the spotlight or away from it? Last semester, FLOC Scholars had the opportunity to participate in a theater elective. They learned the basics of acting and used those skills to perform short plays, which they themselves wrote. Little did our Scholars know they would intentionally receive life lessons along the way. As the semester began, elective participants familiarized themselves with the concept of improv, a branch of acting that utilizes the unexpected as a gateway to performance. Improv prepares actors to expect the unexpected and to remain calm when things don’t go as planned. In one activity, scholars were tasked with creating a never ending story (think telephone, but in narrative form). One scholar would start the story and the next scholar would add on and so forth until time was called. Stories went in all directions. One started as a story of a boy in a farmhouse but ended as a story of a giant octopus destroying D.C. Another began with an evil witch on a mountain but concluded with a family trying to keep their fried chicken restaurant open. The activity taught students that no matter what was thrown at them — whether a witch or a farmhouse — they had to make it work and fit within the context of their ultimate goal. Students transitioned from improv to acting and were given multiple skits to exercise their acting muscles. Acting requires a lot of an actor; it requires looking into your own emotions and pulling out the ones that are most appropriate for a particular scene. Acting, therefore, can be a very introspective activity. Scholars explore their personal backgrounds and must figure out which memories and experiences inform specific emotions. What do you need to think about in order to feel anger, for example, or excitement, or grief? One Scholar mentioned her most recent birthday party as a source of happiness. Another mentioned being bullied as a source for sadness. Whichever memory they chose, Scholars had the chance to figure out what triggered certain emotional responses and then to decipher if those responses were appropriate for that situation. After practicing their acting skills, Scholars were asked to write and perform their own plays. They used their creativity to develop stories, dialogue, staging, and even props. At the end of the process, scholars had created a multitude of plays set in a variety of locations and genres. Some clever titles included Mom and Orangina Save Mars, an epic story about a mother and daughter saving Mars from alien invaders; The Crazy Adventures of Bob and Dave, a thinkpiece on the relationship between a boy and his pet dinosaur; and Empire, a reimagining of the hit network drama of the same name. When it was time to perform, Scholars used the skills they had learned previously to deliver well thought-out and one-of-a-kind plays that showcased their imagination and creativity. Their energy was magnetic. By performing something they had written themselves, Scholars took ownership of their work, which built up their confidence. They took pride in the fact that hard work and effort truly did pay off in the end. Niya is a sixth grader, who participates in both the Neighborhood Tutoring and Scholars programs here at FLOC. Niya’s favorite subjects in school are math and science, because of their real life applications. When asked what she likes the most about FLOC, she grinned and replied, “My math tutor, Nick! He always laughs at my jokes and encourages me to keep trying, even if I don’t get the answer right the first time.” FLOC’s tutoring program has also helped Niya to become more confident in the classroom; she’s often one of the first to raise her hand and try to answer a question. Happy and Healthy New Year! December brought the Health and Nutrition Unit to a close for the WV Leaders in Action students, but not before some final lessons about the body’s need for a well-rounded approach to fitness. Not only does health and fitness include cardio and strength activities, but stretching and flexibility activities as well. They’re not just for gymnasts and cheerleaders, martial artists or dancers. Stretching is how a person maintains normal flexibility throughout life. So with all of this in mind, of course we headed outside with our students to learn some simple and easy active and static stretches to help them maintain and improve their capacity and ability to play and enjoy life. How much they take care of their bodies is a decision that our students will have to make. But how might their health affect their education, I wondered? After a bit a research, I came across this article2 which gives input into that very question. Although complex, the answer is in short… of course their educational experience is impacted by their health. As the semester came to a close, I wondered if there’s a larger lesson embedded in all of this as well. Maintaining physical flexibility can be helpful to enjoy life and potentially take on new types of movements and activities more readily. Can this be a metaphor for other aspects of who we are? Mental flexibility can help us to think in new ways, adapt to different situations, or understand new concepts. Emotional flexibility can help us cope with a variety of experiences or be less judgmental toward our peers. These skills can be important aspects on the path towards post-secondary education success. So here’s to a brand new start filled with resolutions of all kinds that help us to loosen up in many ways. Wishing you, and all of our students, a happy and healthy new year. The holiday season is a time of reflection at FLOC. It gives us an opportunity to pause and give thanks to those who’ve helped our organization and the students we serve. We count ourselves extraordinarily lucky to be supported by such a vibrant and passionate community. The remarkable achievements of our students are a reflection not only of the tireless work our students put forth, but it’s also a testament to the generosity of our donors and volunteers. Nationwide, 81% of students now graduate from high school. Inarguably that’s an important milestone and an indicator that things are moving in the right direction, but it also shows the work that remains. We are failing one-fifth of the young people in this country. The numbers are even worse in Washington, DC. In our city, a city that has more college degrees per capita than anywhere else in the country, only 64% of students will achieve a high school degree. Even fewer will earn a postsecondary degree. A failing of this magnitude is hard to fathom, and it’s even more difficult to create and fight for the lasting, systemic change necessary to rectify it. However, in the push for sustainable and lasting change, we cannot lose sight of the thousands of students in classrooms today who are living the reality of these statistics. At FLOC, we believe that the only thing separating students who struggle and students who succeed is opportunity. Over the past 50 years, we have served over 10,000 children, talented young people who thrive when exposed to quality out-of-school-time programming. Thanks to continued and new support, another class (the ninth straight!) of FLOC high school seniors achieved a 100% graduation rate. We’re proud of their hard work and grateful that our donors have allowed us to continue supporting these tremendous young people. Across all our programs, this support and partnership have led to remarkable results. 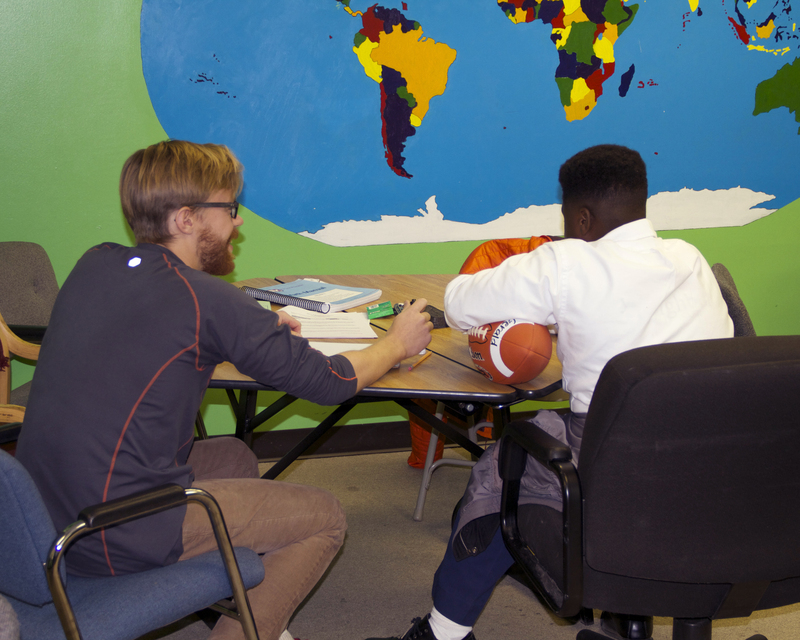 Our Neighborhood Tutoring Program served a total of 380 students and recruited more than 349 volunteer tutors. Those 380 students made more than a year of improvement after just three and half months of steady tutoring. Thanks to a new program model for SAT prep, students improved their composite scores on the SAT by more than 100 points. This growth is fantastic, but preparing students for postsecondary success requires a lot more than just raising test scores. Today’s student are leaving high school and entering a highly competitive, quickly moving world. They require new skills and new experiences to help them navigate it. Jason, one of our recent high school graduates, is a great example of the ways that FLOC is working to fully prepare students for postsecondary success. Ever since he started coming to FLOC, Jason has been a presence. Sometimes this was a positive thing, like when he would encourage his classmates across our high ropes course. Other times, it was a challenge, like when he would take over a workshop with his jokes. In his school life, he struggled to find his place, to share his talents and to achieve success. As a freshman in high school, Jason had to deal with the death of his older brother. The loss was devastating, certainly distracting and not surprisingly a major factor in his lack of motivation in the classroom. FLOC has been a part of the village that supports him and his family. Jason was motivated by basketball and the special caring relationships he’d formed with his peers and the staff at FLOC. We fought to help him recognize that he still had a path to success, that he had the capability to achieve great things if he challenged himself and remained focused. It didn’t happen overnight, but he began to heal and to grow. Jason’s senior year of high school was his strongest academically, and he graduated on time. He applied and was accepted to a community college, where he intends to get his associates degree before moving on to a 4-year institution to study psychology. We asked Jason what he believes will be his key to success. He shared that he finally realizes the power he has to be great, to make his brother proud and to help others; Jason plans to become a therapist for children who have suffered from traumatic loss. We believe in him and will support him throughout his journey. 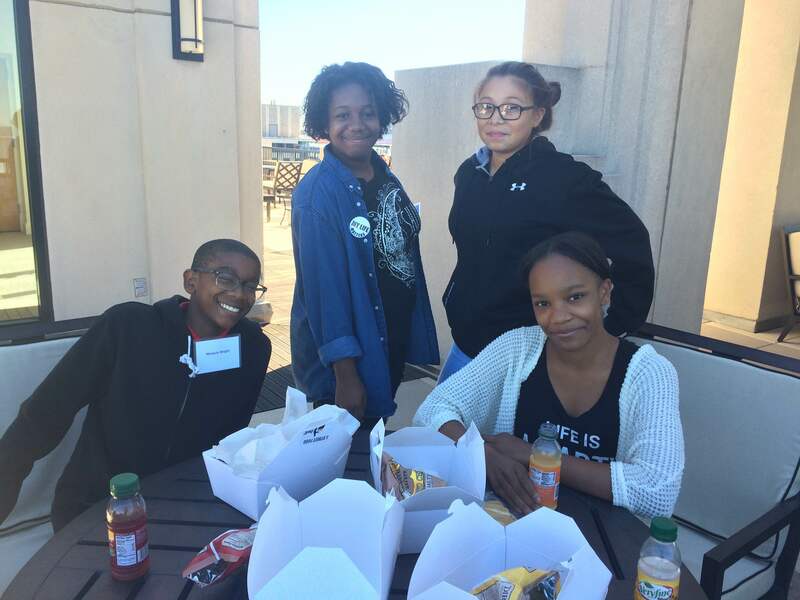 This year, another group of twelfth graders is preparing for the next steps in their academic journey. Throughout the city, there are thousands more who have the potential to excel, but lack access to the programming that will allow them to do so. Again, the only thing that separates a student in a failing school from one in a top-tier school is opportunity. FLOC represents that opportunity for more than 600 students in the city. We need your support to reach even more students in 2016. Today, during this season of giving, we ask you to make a special gift so that more children can get the tools necessary for academic success. With your gift, FLOC’s dedicated staff and volunteers will be able to better serve even more children. With your support, even more people will hear our message that a high-quality education is the birthright of every child, that viable pathways to postsecondary success should be the bar by which any community of educators is judged. Thank you for your support of FLOC and the work we do, and from our family to yours, happy holidays! On Monday, October 12th, with a day off school, FLOC Scholars participated in a Mock Trial event at the Wilkie Farr & Gallagher, LLP, law firm. Separated into defense attorneys and persecutors, Scholars had to argue different sides of a case, using only their words, logic, and the limited supply of evidence that was available. Here is a recap of the events that took place. Upon entering the law firm, a sense of anxiety filled the air as Scholars were rushed in to help decide the fate of an 18-year-old boy who was filmed drinking at a party the weekend before. The principal of his local school found the boy’s actions as a breach of the school’s honor code and suspended him immediately. Angered by his principal’s decision, the boy fought back. The drinking took place off campus, he claimed, and therefore was not subject to school policies. Who was right? Working with lawyers, scholars prepared their positions for court. They analyzed the school’s policies as well as the accounts from the principal and the accused student. Scholars worked hard, using their critical thinking skills to create an argument that would bring the case to justice. The room was tense as the trial began. The sizeable audience included a number of lawyers and FLOC employees, curious to see how the case would turn out. All eyes were on our Scholars as the defense began its argument. After an hour of debate, the decision was out. The prosecution was victorious and the principal’s decision found unwarranted. The boy had won. In an amazing back-and-forth battle, our Scholars demonstrated a remarkable grasp of debate and logic. Their articulation and eloquence was so impressive that the panel of judges had a hard time deciding who the winner actually was. Both sides prepared their evidence meticulously and analyzed both sides before presenting their claims. FLOC prepares students not only for college, but also for their future careers. We strive to nurture and develop our students’ talents and make sure that whatever they decide to do, they’ll do it with passion and hard work in mind. Our Scholars showed grit and confidence during their time at Willkie this month, traits that will definitely take them far in life. Welcome, new summer OEC counselors! Every June, we at FLOC’s Outdoor Education Center welcome our new summer staff of counselors. It’s an exciting and challenging time for all of us as they are run through an intensive training schedule 2 and a half weeks long that prepares them for co-facilitating our FLOC kids camps. During this time, they end up covering everything from “hard skills” such as safety and techniques on our High Ropes course, canoeing on the Shenandoah River, or backpacking on the Blue Ridge to the ever important “soft skills” like facilitating groups of students through the Low Ropes course challenges, helping groups to think about and learn from their experiences, and building confidence and rapport with our campers through a positive culture of interactions. 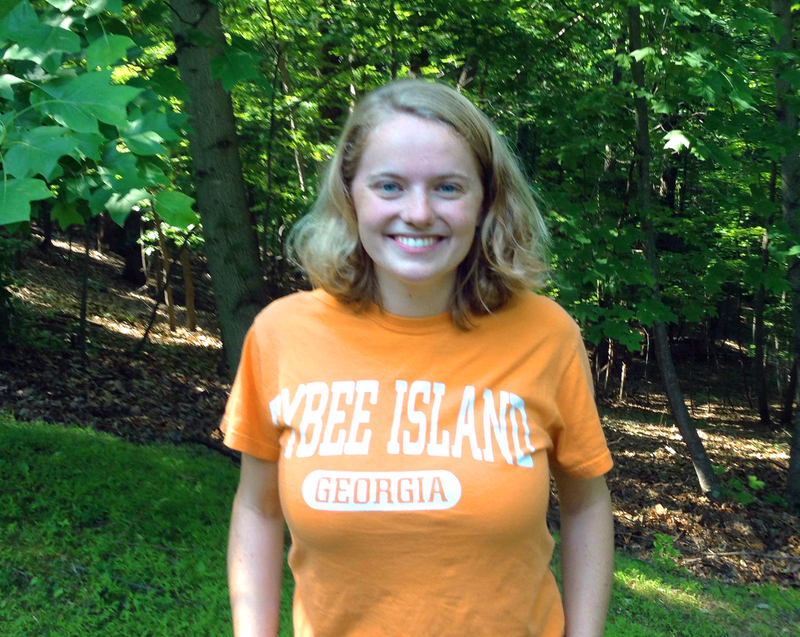 This year we are welcoming Natalie Pickett as one of our new summer staff counselors. Natalie comes all the way from Birmingham, AL. She attended Louisiana State University and just graduated with a degree in Child and Family Studies and a minor in Business. She brings 3 years of experience working with 6th through 8th graders in an afterschool program during her time in college. Being from the south, this summer Natalie is excited to explore and learn about a new place and appreciate the cultural, social, and environmental differences. She is especially looking forward to bonding with our camp youth and watching many of them experience something new. “This,” she says, “is the reason I took this job.” In addition to her gifts and passion for music, guitar, and singing, she is also very interested in social issues, particularly that of social justice. In the future, she’ll be pursuing a career in non-profit management where she looks forward to working with at-risk youth, underserved populations, and the homeless. A big welcome to Natalie and all of our new summer staff. My name is Robyn Lingo and I am the Deputy Director at For Love of Children (FLOC). Thank you for the opportunity to testify today on behalf of For Love of Children. Last year, our nation reached a profound milestone — 80 percent of our students now graduate high school. Within the District of Columbia, however, we struggle to graduate even 64 percent of our students. Our city boasts the highest proportion of young adults with college degrees, yet only 10 percent of our city’s own high school students will attain postsecondary degrees. According to the DC Alliance for Youth Advocates, there are over 14,000 young people in the District neither enrolled in school nor employed, and less than 42% of 20-24 year olds in DC have fulltime employment. In the highest-need Wards of the city, those statistics are even more striking. It’s not hard to see the correlation between the lack of educational opportunity and the prevalence of violence among our youth. Without us demonstrating a clear path to a successful educational journey and chosen career for our youth, we see all too often the dangerous and harmful direction that too many young people go down. Everyday, FLOC is offering a different path, by providing opportunities for students to succeed in school, aspire to earn a postsecondary degree, and become contributing members of their communities. Unlike many other youth-serving programs, we provide a continuum of support that guides our students from first grade through completion of a postsecondary degree. Through our Neighborhood Tutoring Program, we intervene early to make sure that students do not fall further behind in reading or math. Building on those academic skills, our Scholars Program exposes our students to experiences, information and activities that build persistence skills to help them progress through their educational journey and into a chosen career. 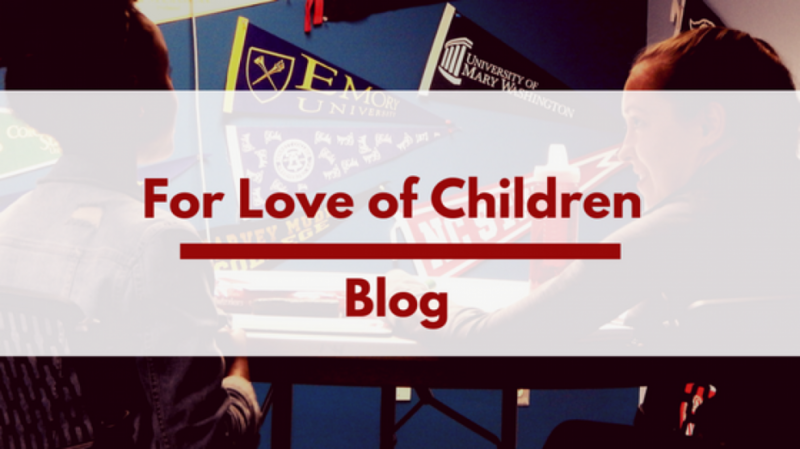 As the Deputy Director of For Love of Children, I know that out of school time programs play critical roles in ensuring every student’s successful path toward adulthood and in preventing youth from being pulled into dangerous choices or violent circumstances. A nationwide study by the Afterschool Alliance showed that DC has the highest after school participation rate in the U.S., yet we ranked 49th in the percentage of low-income children enrolled in an afterschool program. In the same study, the Afterschool Alliance found that of those DC children not currently enrolled in afterschool, 66% would be likely to participate if an afterschool program were available in their community. As the data has shown many times, students who participate in high quality afterschool programs “behave better, receive better grades and perform better on tests than students that do not.” At FLOC, we also know that our students benefit tremendously from being exposed to college and career options that help them envision an exciting and rewarding future for themselves, and from the attention of caring, adult mentors who help them make smart choices about their future. These powerful interventions can make a critical difference in the course a young person takes into their future. Over the past 50 years, FLOC has served more than 10,000 children, turning disparity into opportunity and making sure they stay on the right path to a healthy, productive and fulfilling adulthood. Currently, 100 percent of our seniors graduate high school, and over 70% have graduated from postsecondary or are persisting towards a degree. FLOC sparks community transformation one young person at a time by ensuring access to quality afterschool services that lead to postsecondary success. FLOC programming focuses on youth empowerment by building critical thinking, leadership, and advocacy skills that dramatically increase readiness for postsecondary education. Through our signature Neighborhood Tutoring and Scholars Programs, we intervene early and expose students to educational opportunities and career experiences that lead to proven success. With more than 100 local and national partners, FLOC provides critical access to free afterschool services — from first grade through college and career — for youth throughout the city. Furthermore, by partnering with our students and families, we are organizing a community call for wider access to quality out of school time programming. These are tangible, achievable steps we can take together to move closer to our vision: a city in which every child’s potential — regardless of zip code, skin color, or socioeconomic status — is unlocked with a postsecondary degree, opening the doors to success in life. Thank you, again, for the opportunity to testify.